Newfoundlanders and Labradorians have a strong connection to the sea, so it was no coincidence that hundreds came forward to serve in the Newfoundland Royal Naval Reserve during the First World War. Many were fishermen — no strangers to hard work or harsh conditions. To ensure the men were equipped with the necessary skills to survive at sea during wartime, specialized training was required. They received this training aboard a dedicated vessel docked in St. John’s, the HMS Calypso. 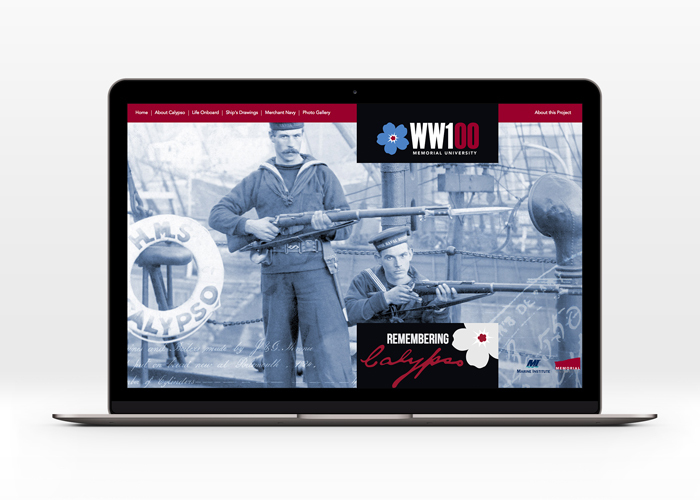 The story of the HMS Calypso and those who trained on board the vessel has been brought to life, thanks to a new interactive website designed by a cross-campus team at the Fisheries and Marine Institute (MI) of Memorial University. Featuring the original ship’s drawings and dozens of photos, the site serves as a modern, virtual memorial to the young men who bravely stepped forward to serve in the Royal Navy. The story of the HMS Calypso and those who trained on board the vessel has been brought to life, thanks to a new interactive website designed by a cross-campus team at the Fisheries and Marine Institute (MI) of Memorial University. The HMS Calypso was originally built to defend. Armed with four mounted six-inch breech-loaders and 12 five-inch breech loaders, the vessel also featured six machine guns on the upper deck and two 14-inch torpedo tubes on the main deck. However, upon her arrival in St. John’s, the Calypso was transformed to make way for the nearly 1,300 reservists who would receive wartime training aboard the vessel between 1902 and the start of the First World War on July 28, 1914. The Newfoundland Royal Naval Reserve was formed in 1900 as a trial. Initially, the men agreed to a five-year term upon enrolment, service that included training and time at sea. When war broke out, about 500 men were enrolled in the Royal Naval Reserve and they all immediately responded to the call for active service. After training on board the Calypso, the reservists from Newfoundland would be dispersed throughout the British Royal Navy, serving on different vessels around the globe. The HMS Calypso was renamed HMS Briton in 1916 and several years later she was sold to a local merchant for storage. Today, what remains of the vessel lies in a small cove off the town of Embree, just north of Lewisporte, N.L. 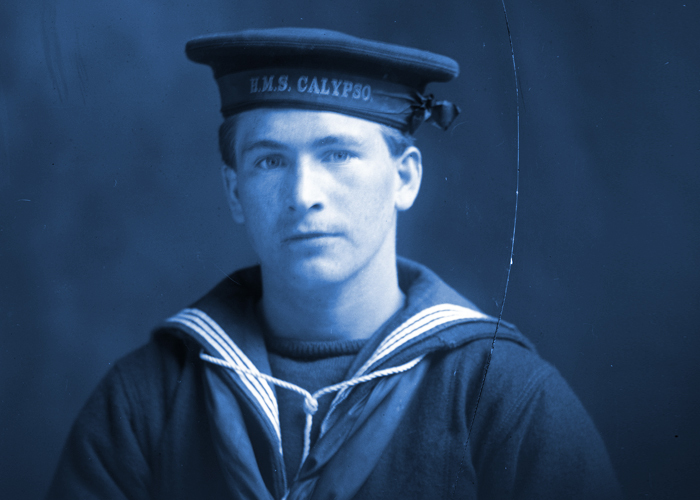 The Marine Institute team is proud to commemorate the Newfoundland Royal Naval Reserve and the HMS Calypso with this new website, a tribute that captures the many faces of the young men who served and the vessel that provided the backdrop for their important training. Catherine Lawton is head of public services with the Dr. C.R. Barrett Library, Fisheries and Marine Institute of Memorial University.